Read our rave reviews from around the web or submit your own. We would love for you to spread the word about Carroll Painting to your friends and family. Our success is thanks to your referrals! 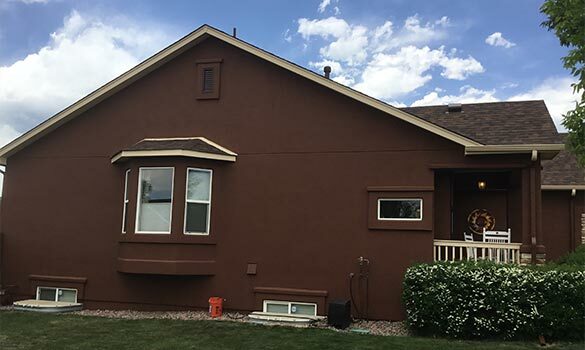 From start to finish, I knew I could trust Peter to deliver the highest quality work painting my stucco construction home. I solicited 4 bids with the cheapest coming in at less than half the price of the most expensive. I automatically ruled out the lowest as that bid barely covered materials to properly paint a stucco exterior. The two painters who bid the highest thoroughly explained their processes to properly prep, repair and paint stucco. My final decision to select Carroll painting ultimately was based on trust in their ability to properly perform the job in addition to the stellar reviews posted on the BBB site. From start to finish, Juan & crew worked thoroughly, professionally with great attention to detail. The final product looks great. Juan was receptive to my inputs throughout the process & ensured he understood precisely how I wanted the trim color details (he re-painted downspouts multiple times as I tweaked details after seeing results). Well done guys! I hired Carroll Painting to paint the interior of my 3200 square foot home. After I signed the contract, I changed my mind numerous times about the paint color, scope of work, and schedule. Peter Carroll, the company's owner, responded to my emails promptly. Over a period of about two months -- while I prepared my home for painting -- he was extremely patient and understanding. Finally, the house was ready and Mr. Carroll came over with his crew. Everyone was polite and friendly and very efficient. After four days, they were virtually done and the house looked magnificent. I walked through the home with both Mr. Carroll and his son and we noted a few very minor trouble spots. They took care of everything. A few days later I noticed a few other minor issues, and they readily agreed to address those too. I really can't think of a single negative thing to say about Carroll Painting. This is an outstanding company with a laser-like focus on customer satisfaction. They do extraordinary work and I am a completely satisfied customer. Carroll Painting recently completed the exterior of our home with elastameric paint and we couldn't be happier. Pete and his crew worked tirelessly ten to twelve hours a day to give us a top quality job from start to finish. Our home looks like new and is garnering compliments from all of our neighbors. When Pete came to look at the job he explained in detail the procedures used for both the prep work and the actual painting. His crew was very professional and took great pride in their work. We cannot say enough nice things about Carroll Painting and our experience with them. Do yourself a favor and if you need painting services hire Pete and Carroll Painting. We had Carroll Painting paint our 4000 sq ft house and our large front deck in Woodmoor last summer and they did a spectacular job. The two-brother crew who did the work were here every day, working hard, sometimes until dark, and their attention to detail was phenomenal. Everything they did was meticulous, from the prep work (of which there was a lot!) to the final, finishing touches. Our house was in bad shape, so it took a lot of time and energy, and we also had to have some wood repairs done (which they also did, and did a beautiful job on that). Peter (younger one) came by almost every day to see how things were going. We found them incredibly easy to work with, their rates were competitive and more than fair, and we'd hire them again in a heartbeat! My wife and I have lived in Colorado for over 20 years. We manage several properties in town and when we decided to paint our own home we selected Carroll Panting. Their track record was proven for several decades. They don't ask for a penny until the job is done and you are 100% satisfied in their work. 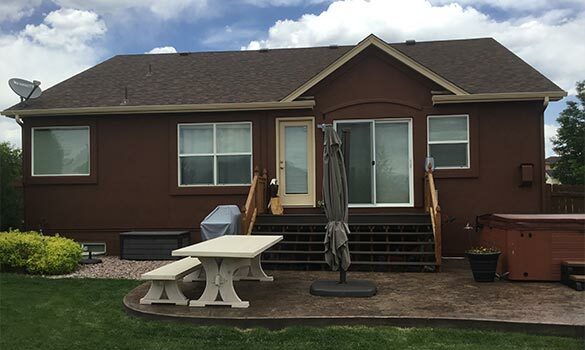 Cost was in line with 3 estimates that I received and the most important aspect of why we picked Carroll Painting is their knowledge of project preparation and application. Almost 2 full days went into preparation before they even pulled out a bucket of paint. My home took over 100 Gallons of paint of the highest quality Sherwin Williams Paint. It was clear they are not afraid to spend the time to prepare the home for paint but they are also not afraid to use paint to get the best coverage possible and result. I have experienced so many painters who attempt to cut paint or stretch it as far as possible which ultimately diminishes the finish and the longevity of the investment you are making in your home. The workers at my home for the duration were very professional and focused from start to finish. As an example, just on my fence. One person sprayed and other back rolled every square inch to ensure proper coverage. Then a second application was applied going the opposite direction again, sprayed and back rolled. I would absolutely recommend them to anyone and they will be our first call on our next painting project. Carroll Painting completed a 3100 square foot stucco job on time and within the budget. The crew was very professional and communicated what would be completed each day. The finished job was fantastic. I have had a lot of work done on my home over the past three years. I have never had a better experience than working with Carroll Painting. Peter is a man of great character and his crew is professional, thoughtful, and thorough. They are about pride in their work and meeting the customers intent. They do the little things every step of the way. I had several good offers from reputable firms...none of them could touch the quality of Carroll Painting. With this team you get your bang for the buck. I give this team my strongest recommendation. We needed our window trim and baseboards repainted after 15 years. Peter walked around inside, looking at every window and baseboard, then he came back with his team and showed them. They needed to match several colors since different ones were used during the construction. The team came and did an initial great job, and then came back and thoroughly completed a punch list that I had prepared, even seeing things that I had missed. Everyone was polite and pleasant, and careful with our home's contents and floors. Peter was a very cooperative and competent owner. I would highly recommend Carroll Painting to anyone. I highly recommend Carroll Painting, they are very professional, thorough, detailed and responsive. We recently had the exterior of our house painted and interviewed several painting companies before choosing Carroll. We knew we wanted Carroll based on all the positive reviews and they lived up to the expectations. Peter was very patient in answering all our questions. We were impressed with his professionalism and the quality workmanship. He was able to schedule the job into a tight time frame and finished the project early, even after a delayed start due to weather. Peter was in contact every step of the way, making sure we were satisfied with the finished product, even personally conducting the final walk-through with us. He was always reachable and responsive to our calls or emails. They even came back to finish a couple of areas they were not able to do while painting the house. The house looks fantastic! 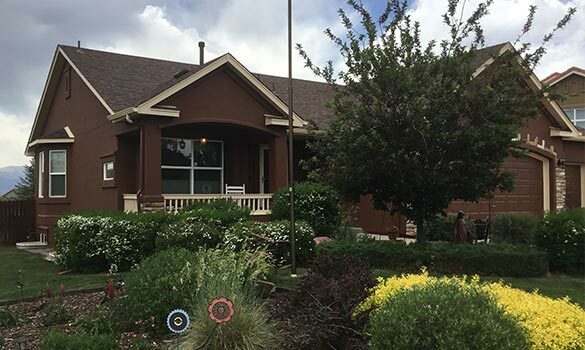 Carroll Painting is the company to use in the Springs. I would strongly recommend Carroll Painting. They were very thorough and professional in their work. Any questions or concerns we had were promptly responded to. They were very knowledgeable and that showed in the quality of their workmanship. I liked the fact they were a third generation painting company and the initial detail they put into their estimate for the paint job on our house. We would not hesitate to refer any of our friends or family to Carroll Painting.